It's not a secret that hedgehogs are mad about apples, but sometimes the food is located at unreachable places. Push buttons to activate various mechanisms that will help you to reach the apples and additional bonuses! Catching the apple could sound really easy, but not when you are a hedgehog. 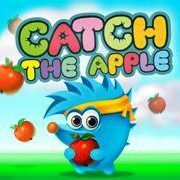 The level is full of high hills, various obstacles and creatures that you can use to help the hedgehog reach those apples. Plan your way and use all tools available to get apples and stars of the level. Avoid spiky traps and click on the glass to break it!